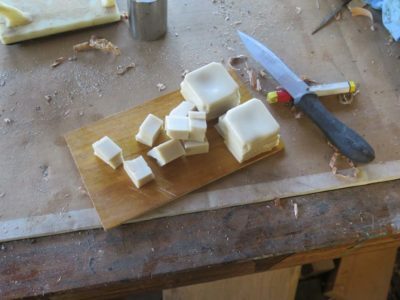 I have been doing molding and casting for almost four decades, and for the most part it has become a routine and enjoyable aspect of work in the studio. But as with anything involving technology, technique, and “touch” there is room for it to go south, and I am in the midst of one such project. Several weeks ago I was contacted by a blog reader asking me to cast a replica of a carved hairy paw foot he saw in an image I posted. “Sure,” I said, and the misadventure was inaugurated. My first step of creating a silicon mold was so straightforward I did not even bother to take pictures. I figured I had just enough of the RTV rubber to make the mold and could cast it in plaster as requested. 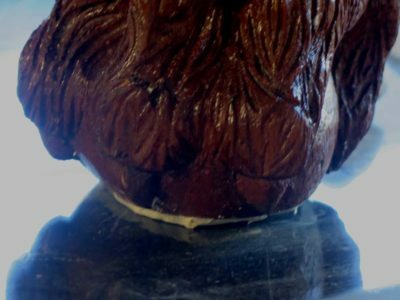 Only it turned out I had mis-estimated and I did not have enough of the molding rubber for the task, the liquid rubber barely covered the top knuckles of the foot, and was not thick enough for me to demold the foot without destroying the mold. So, that time and material was down the crapper as a wasted effort. Not to be dissuaded I turned to other mold-making options and struck on another molding material, Gelflex, a rubbery PVC molding material that is poured as a molten mass. I’ve used it before with fairly good success, in fact one of the benefits of Gelflex is that is reusable. 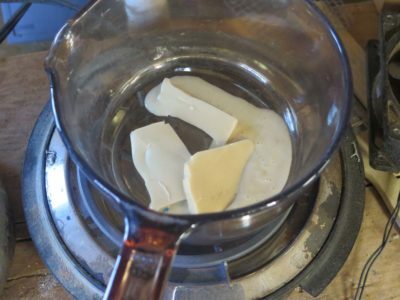 When you are done with one application, you can just cut up and remelt the rubber for a subsequent use. As long as you do not char the material it seems to have a near-infinite utility. 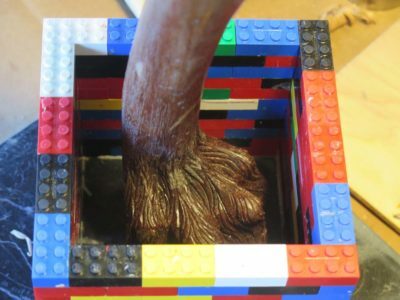 I set up the molding operation with my typical Lego box dam around the carved foot, which was anchored to a base board with sculpting clay. 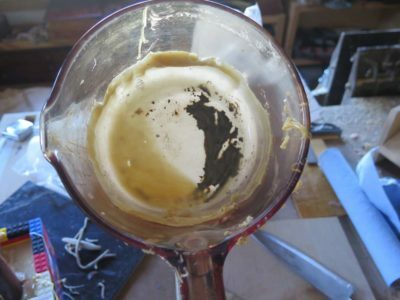 I set up a Pyrex sauce pan on the hot plate and began to melt the material. 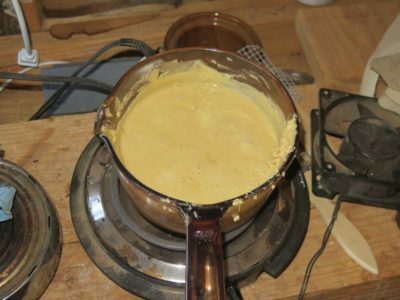 This was considerably more mass of Gelflex than I had tried using before (I had used it for replicating metal hardware in the past) and balancing the temperature so that it was hot enough to become liquid but not so hot as to char was a challenge. It literally took three hours for me to get the temp/viscosity correct. Even then I managed to chat some of the medium. 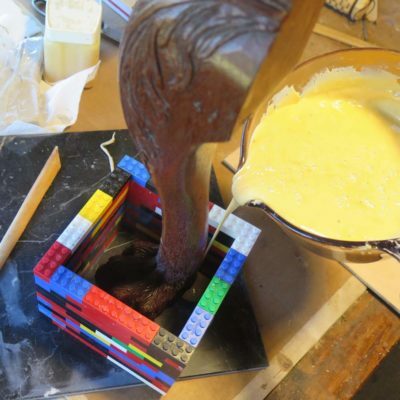 Then I poured the molten vinyl into the Lego box holding the carved leg in place with sculpting clay. Have you ever tried reversible hydrocolloids? Made from agar-agar, which is derived from seaweed. Conceptually, seems to be similar to the Gelflex. Just wondering.